This was the guest bathroom in the massive foyer (below). We found this stone which already had the top hollowed out. And we bore holes in it for the plumbing. Fab, right? But I digress. This post is about organic sinks. 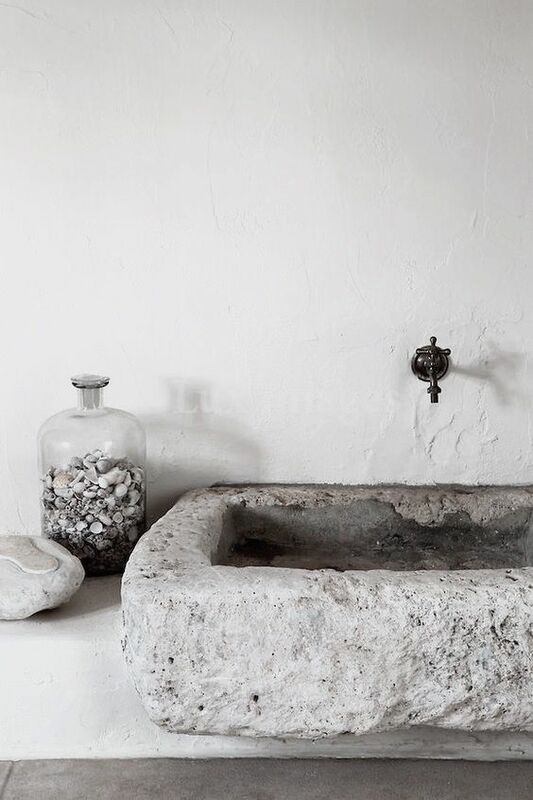 So I wanted to start by sharing the organic sinks that my architect, Lis Bisgaard and I found and designed spaces around in early 2008. Were we ahead of our time? Well, at least Lis was. Check her amazingness out here. Striped bathroom was through the doorway to the right. 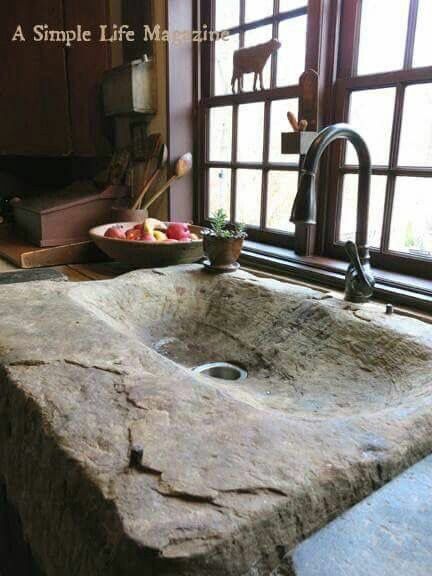 This was the stone sink created for the roof top bar. This is just plain rad. It's like a topographic map. I know this is not necesarily organic but it's so fab! This last one just slays me. No words. Hope you enjoyed this post. Now go find yourself an organic sink and design your bathroom or kitchen (or outdoor shower) around it!